Most Chromebooks are sleek ultrabooks, designed to be as light and thin as possible for the price. The ThinkPad 11e, on the other hand, is more rugged and built for endurance. Now you can get it for just $149.99 - far less than the normal price of $299.99. As you might expect from a lower-end Chromebook, the specs aren't spectacular. You get an Intel Celeron N3150 processor, 4GB of RAM, and 16GB of internal storage. The screen resolution is 1366x768, but with the display only 11.6 inches, it shouldn't matter too much. And obviously Chrome OS runs far better on a computer of this caliber than, say, Windows. 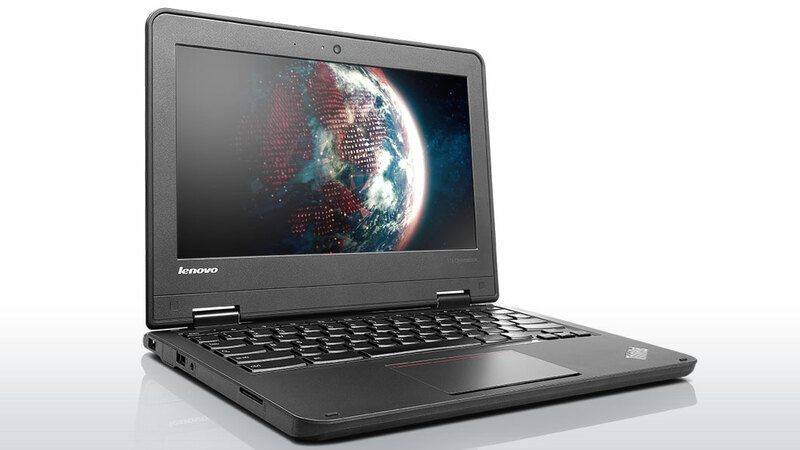 Lenovo has been aiming the ThinkPad 11e towards use in schools, so it's built to withstand careless students. It has a rubber bumper around the top cover to absorb bumps and drops, reinforced ports, and strong hinges and brackets. The ThinkPad 11e isn't much to look at, but if you're wanting a durable Chromebook, this is a great option. To sweeten the deal, this model will receive the Google Play Store in the near future. Keep in mind that this sale only applies to the non-touchscreen model. You can buy it from Newegg at the link below, and make sure to add the promo code EMCSRDBB2 to get the full discount. The sale only lasts a few more hours, so if you want it, you should grab it soon.